From Goodreads: In Abby’s world, magic isn’t anything special: it’s a part of everyday life. 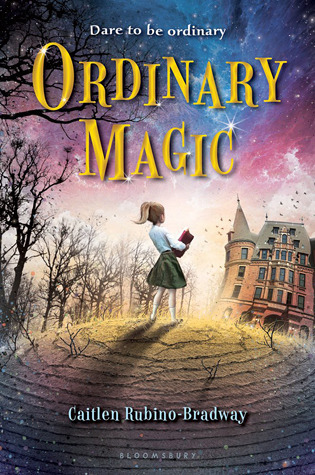 So when Abby learns that she has zero magical abilities, she’s branded an “Ord”—ordinary, bad luck, and quite possibly a danger to society. The outlook for kids like Abby isn’t bright. Many are cast out by their families, while others are sold to treasure hunters (ordinary kids are impervious to spells and enchantments). Luckily for Abby, her family enrolls her in a school that teaches ordinary kids how to get around in a magical world. But with treasure-hunting kidnappers and carnivorous goblins lurking around every corner, Abby’s biggest problem may not be learning how to be ordinary—it’s whether or not she’s going to survive the school year! Oh wow! I really enjoyed this one! It's full of adventure and brilliant characters and I had such a fun time reading it! I really did not want it to end. 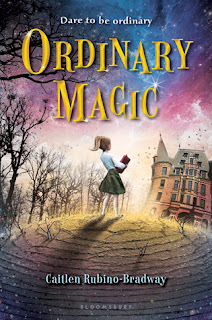 Abby lives in a world were everyday magic is the norm, only to find herself an Ord - someone with absolutely no magic abilities. Ords are a commodity in this world and to keep Abby safe she is enrolled in a school for Ords. And it's here that the adventure really starts! The writing is brilliant and Abby's voice is spot on! I loved her little observations, she's kind and really, really likeable. I also loved her family - such a fun bunch who obviously adore each other. And her friends at her new school are great too: Fred, Fran and Peter (I loved him!). Even the teachers have great personalities - I loved Becky and Dimitrios. This is going to be a series, right? I really, really hope so. 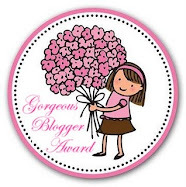 Caitlen Rubino-Bradway has created a wonderful world and I'd love the opportunity to return to it time and time again. Flying carpets, Minotaurs, Magic as an everyday occurrence, Evil goblins, Treasure seeking baddies? I mean, what more do you need? Well, you can also add a lovely main character, who you can't help but root for, and this really is a little gem of a book. This sounds so sweet. I'm going to get a copy for the school library. Love your enthusiasm.